I hear a lot of chatter about how time consuming creating ads within Power Editor can be. The truth is, though, that most people with this issue don’t have the right processes in place for optimal efficiency. When I create a new campaign, the vast majority of my time is spent on the ad itself (imagery and creative). The creation of ad sets is lightning fast, and a big reason for that is Saved Audiences. The second option can save time, but there is the matter of finding that ad set and changing the settings that don’t apply to the new ad set. There are a couple of obvious issues with this approach. First, it’s absolutely time consuming. You may need to enter several Custom Audiences. Or several countries. And as almost always is the case with interests, several of them. The advertiser either enters them from memory or goes back and forth between an existing ad set and the new one. More importantly, though, is that it’s inexact. When advertisers wing it, they enter all of these things from memory. Is the ideal age group 35-44 or 25-49? Did the list of interests include “Facebook for Business” or “Facebook for Local Business”? These seem like small variations, but they make a huge difference. 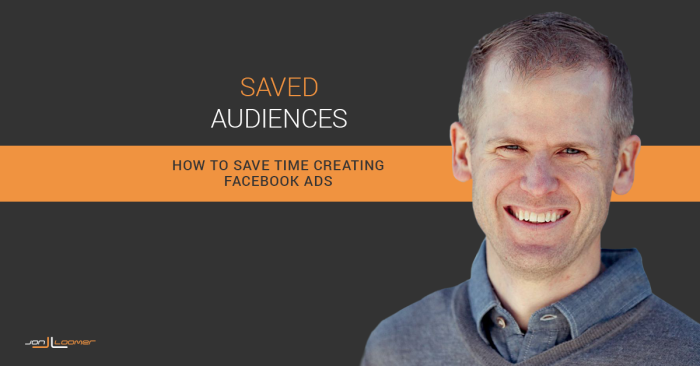 With Saved Audiences, you can take an audience you use frequently — and successfully — and save it for easy access later. Now create the audience as you normally would within the ad set. Select Custom Audiences, countries, ages, genders, interests, connections or whatever you want. Then name and save it. There are a couple of ways you could create a Saved Audience from an existing ad set. The first is to find an ad set that uses a frequently used audience. Select it and then click the icon to save your audience. The second is within the creation of your audience within the ad set. At the bottom is a check box to save the audience. When checked, you’ll need to name it. 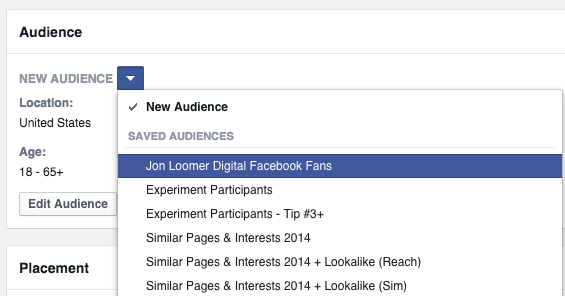 That new Saved Audience will now be found within your “Audiences” list. Using a Saved Audience isn’t nearly as obvious as it should be. 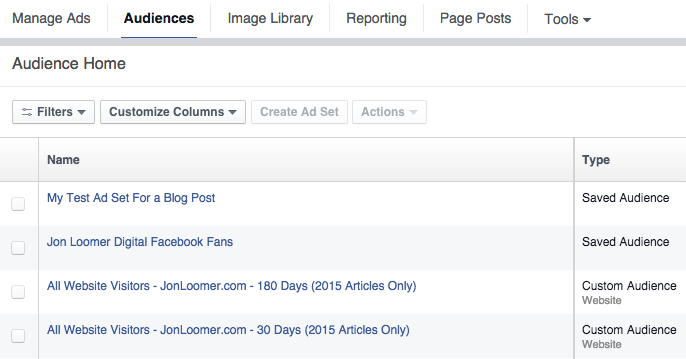 When creating your ad set, by default you are generating a new audience. 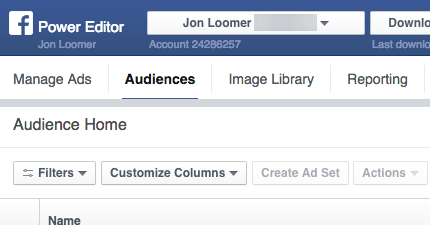 Within the “Audience” portion of your ad set, you’ll see “NEW AUDIENCE” and a small drop-down arrow next to it. 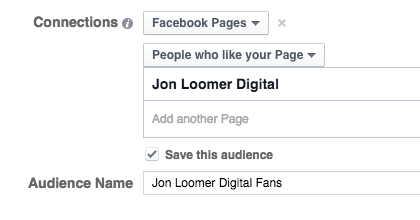 Simply click that arrow and select the audience you want to use. Just know that once you select that, any edits will be made to the Saved Audience itself. So if you click the “Edit Audience” button and change the ages or countries, for example, those changes are applied to the Saved Audience. This same audience may be used for other ad sets as well, and those changes would also appear there. You should look at this tool as a way to save yourself a ton of time. Find the audiences you target most frequently, and create Saved Audiences out of them. 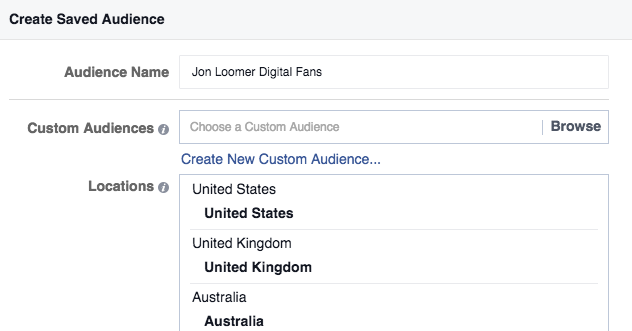 Targeting your fans isn’t as simple as selecting your page within connections. You should also narrow down age and countries. It’s possible that a Saved Audience isn’t needed for this if you target everyone within a particular Website Custom Audience. In that case, you’d simply select that WCA without country targeting and you’re good to go. But you may want to narrow down by countries and age groups. Do you have one email list or several that you combine for a single audience? If several — or if you also narrow the list by age or country — a Saved Audience may be necessary. While you may create one ad set per Lookalike Audience, you may also combine them all into a single audience. If that’s the case — and if you then narrow ages, for example — you’ll save time by creating a Saved Audience. This is where you’ll likely save the most time. Most advertisers don’t target a single interest. They target many. And when that’s the case, it’s often difficult to remember all of the various interests to target. Combined with the age and location filtering, this is a good one for Saved Audiences. Many advertisers have found success combining Lookalike Audiences with interests. In that case, the audience can get quite complicated with the various options. It’s a great audience to save! 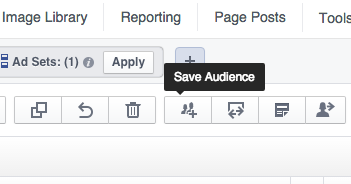 Do you use Saved Audiences? Which audiences do you save?